For example, we ran the simple moving average system outlined above on Crude Oil futures daily data back to May, 2001 — and found that it had 10 winning trades totaling $188K in profits, and 13 losing trades totaling -$65K, for a net profit of $122,000 on the hypothetical backtest with a drawdown of -$44K. (not bad — but again, it isn’t real — it just tells us what this code looks like looking backwards right now, not what actually happened, and not what is going to happen). Trading systems can keep your trading consistent, and remove emotions from trading. If you have ever said you wanted to buy a stock when it got down to a certain level, then cancelled the order when you saw the Fed has just raised rates or — you have let emotions interfere with your trading (and I would wager the result was poor). 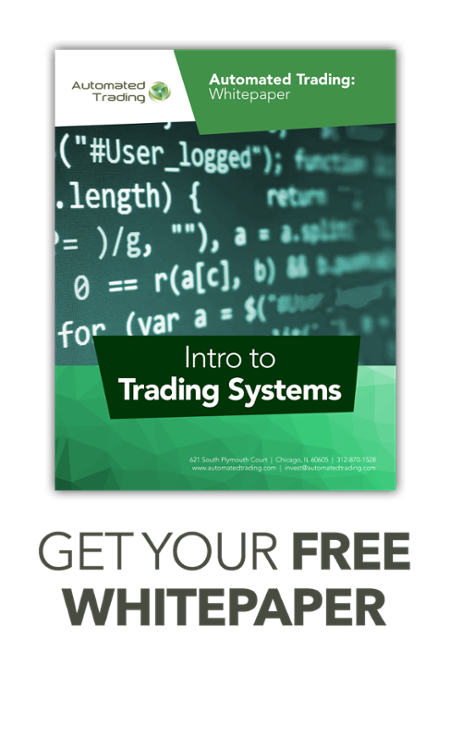 A trading system will execute its rules no matter what is happening in the outside world, for better or worse. This helps with practical matters such as eliminating the need for you to be sitting at a computer all day in order to place a trade when the perfect set up happens, and that in turn makes your trading consistent by applying the same rules to the market day in a day out, whether you are working, on vacation, or watching the market.